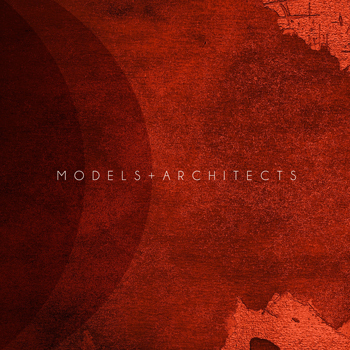 Models + Architects – one of the most pure, genuine, well-written alternative-indie EP’s! A chance invitation from a local architect to attend a friend’s designer show in Riga, Latvia gave Models + Architects their name. An Ann Arbor based indie band, formed in 2014, the band features Chris McCleary (Vocals/Guitar), Jeffrey Sanchez-Burks (Electric Piano, Mellotron, Organ), Gary Burroughs (Drums) and Mark Bishar (Bass). 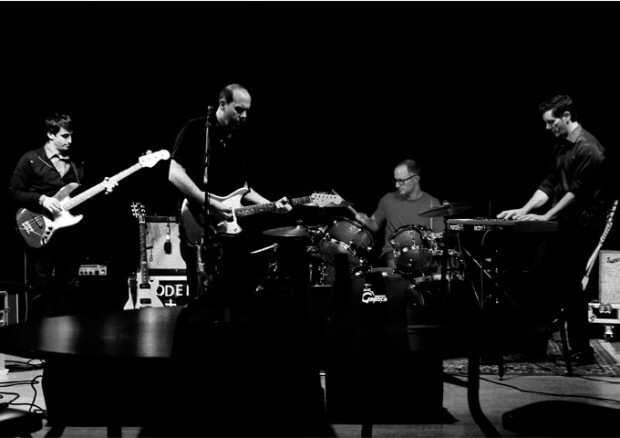 2016 has seen the release of the band’s 4-track self-titled EP. Lush vocal lines and complimentary keyboard quirks transport the listener into the euphoric world of the Models + Architects. They have a unique blend of melodic, alternative indie that transcends classification and stays fresh from song to song. 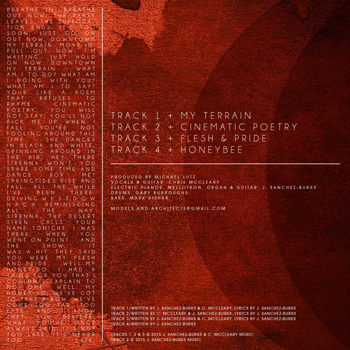 “My Terrain” which opens the EP with a hopeful air and melancholy yet captivating slow bounce, is one of the best EP or album openers I have heard in years. It has just the right tone, texture and mood to be powerfully permeating without being overwhelming. Other true gems are buried deeper into the track list with the acoustic-guitar driven “Cinematic Poetry”, the freaky keyboard interludes of “Fresh & Pride”, and the electric crunch of “Honeybee”. There is no doubt that this EP is the beginning of something great. So before we go any further, I would recommend adding this to your collection right now so you can brag about being down from the beginning! Any group that can bring forth an EP both musically and lyrically diverse, while paying homage to a broad spectrum of influences yet maintaining total individuality, clearly deserves a 5 star rating. From track one, Models + Architects maintains an enchanting flow that is missing from most releases. This is music that you only think you have heard before. It spans the spectrum of creativity, and does it with a talent and panache that seems rarer and rarer these days. Models + Architects mix gorgeous chord progressions with earthy vocals, delicately unobtrusive percussion and bass, and well-blended keyboard sounds into something that is almost achingly beautiful to experience. It would be presumptuous to say Models + Architects will turn the world of indie rock or pop upside down, but it’s true that they will shine a much brighter light on a darker part of it. These songs are warm and friendly to the ear. 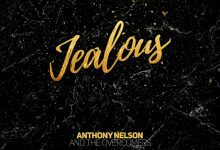 The lyrics are not unusually cryptic but lush on imagery and have a frank, honest and deep impacting tone to them, due to the exquisite vocal deliveries by Chris McCleary. Models + Architects seem to capture both mainstream accessibility and sublimely voguish atmospheres in their songs, with the same nonchalant ease that bands like Keane or Coldplay do. There is something in them that is just remarkable. The first listen doesn’t only impress but it hooks you. And when you listen to it again, you’ll find yourself even more interested. By the time you’ve listened to it for three days straight, every song sounds so sparklingly unique, vivid, soulful and just beautiful, that you’ll want to purchase copies for your closest friends. The strange thing is that Models + Architects is not musically over-complex or ultra-challenging, nor is it genre-bending or groundbreaking. What it is, though, is one of the most pure, genuine, well-written alternative-indie EP’s I have heard in a very long time. The songwriting and lyrics are honest and extremely catchy. Models + Architects also use their instruments extremely well in the way the keyboards add flavor without sounding contrived, and the guitars are genuinely pure and sweet too, while the rhythm section does just that! This EP has a really inviting feel to it. The melodies flow with ease and nothing seems forced. There’s almost a sort of an ethereal feeling throughout, but it’s not a feeling of distance. Instead, the songs invite you in and make you want to fall into the existence that is Models + Architects. The Shanty Franco multimedia experience is an especially enchanting one! Bizz The Prince Releases “Against The Grain” EP Produced by 4th Disciple On Pre-Order Now! Linda Debella: “Jupiter Moon” can possess you at a deep level!